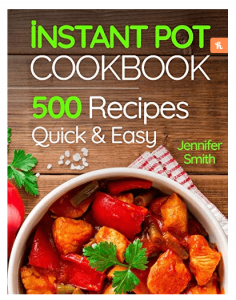 Are you already a lucky owner of an Instant Pot? Then you know how easily this cooker can replace all these pots, pans and other cooking devices in your kitchen. Now, after a family dinner, you do not have to wash a pile of utensils. However, Instant Pot also requires cleaning. Fortunately, most of the parts of this miracle appliance can be cleaned in a dishwasher (the inner pot, sealing ring, steam rack, and lid). Basic clean-up after cooking will not cause any troubles, but periodically you should give your appliance a deeper cleaning, including taking care of the silicone sealing ring, anti-block shield, a steam release handle and other parts. So, let’s find out how you can clean-up your Instant Pot. Before you get cracking, do not forget that an Instant Pot is an electrical appliance, and therefore it can not be submerged in water. And, of course, you should always unplug the cooker before any cleaning procedures. First of all, you should start the cleanup with the inner pot. It is where the cooking takes place. The inner pot is made of food-grade stainless steel. The only thing that distinguishes this container from a conventional pot is a non-stick coating. That’s why you should wash this part very carefully to prevent damaging the coating. You can clean the inner pot both by hand or in a dishwasher. Before cleaning, cool the pot a little down. Remember, you cannot use any scrubbers, metal brushes or abrasive cleaners that can leave scratches on the surface. Be sure to wash the pot every time after cooking and wipe it dry so that mold or unpleasant smell does not appear. If your pot has developed some water stains, you can remove them by wiping the surface with vinegar. This part is situated right underneath the inner port. Very often, during the cooking, small food particles and moisture can get into the exterior pot and cause an unpleasant odor. Therefore, before you put the washed inner pot in place, you should check what is going on under it. Firstly, wipe the inside of the container with a damp cloth. Be especially careful when removing crumbs that can scratch the surface of the pot. Wipe the inside part with a tissue moistened with water and then wipe it dry. The heating element must be permanently clean and dry. What to do if the food particles got there? To remove grease, you can use baking soda. Take a wet cloth with a little amount of baking soda and wipe the heating element. Then clean the leftovers with a damp cloth and wipe everything dry. 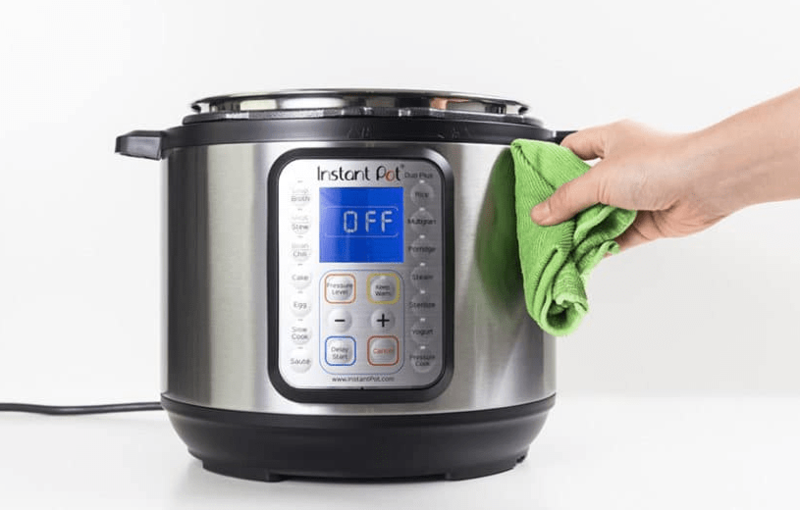 If you follow all the cooking recipes, then the exterior of the Instant Pot will always remain clean. However, unfortunately, no one is immune from the sudden flow of liquid out of the pot while cooking. You can remove the droplets of grease from the surface with a soft damp cloth. Remember, the exterior hosts the cooker’s processor, so you cannot allow the moisture to get inside. If you notice that water has entered the housing, immediately disconnect the device. While holding the electronic unit up, dry all the parts with a clean towel. You can even use a hairdryer. Do not turn the cooker on for at least a day until everything is thoroughly dried up. Carefully remove the lid and detach the sealing ring and the anti-block shield so that you have better access to the inner portion of the lid. Clean it thoroughly with a liquid dish gel and a soft microfiber or cotton cloth. After this wipe it dry to remove the moisture residues. To ensure that the lid does not retain unpleasant odors and dries well after washing, you can keep it upside down between cooking. This part allows the cooker to release excess steam. You can get access to the steam release valve by removing the anti-block shield from the underside of the lid. Please note, that you can never remove the steam valve itself. Most of the time this part does not require washing, however, if you often cook greasy food or use the quick release to let steam out, we recommend that you should provide the steam valve with extra cleaning. From time to time rinse it under a stream of warm water. Make sure that the holes in the valve are not clogged. How to clean the holes? Use a degreaser, for example, a gel for dishes. Remove the silicone ring that holds the float valve in place, then wash and dry both items. After reattaching, make sure that the valve can move up and down freely. This silicone ring tends to retain unpleasant odors, so we recommend that you thoroughly clean it off food residues after cooking. You can wash it in a dishwasher or manually. Also, you can periodically soak it in a solution of vinegar to remove odors. As an option, it is possible to clean the sealing ring using the clean steam mode of the Instant Pot. To do so, leave the sealing ring in place, add two cups of water with white vinegar or lemon juice to the inner pot, and then run the “Steam” program for a couple of minutes. When finished, let the sealing ring air dry. After all the portions of the Instant Pot have been washed, cleaned and dried, you can reassemble the device. Make sure that all the small parts have been installed correctly and you have not forgotten anything, especially the sealing ring, anti-block shield, and float valve. By keeping your cooker clean and tidy, you can ensure that it will delight you with culinary masterpieces for many years to come. I have a few friends who own Instant Pots. They all say they are remarkably easy to clean. I was surprised! You really spell out the best cleaning methods here. I feel like the inner pot would require the most cleaning time. I wouldn’t be too worried about the exterior. Yey, thank you so much for sharing this! I am actually about to purchase an instant pot and it’s timely that I came across your post on how to clean one. It’s very informative and is definitely very handy! I’ve noticed how vinegar is really useful for cleaning lots of stuff and can see how it comes in handy in cleaning instant pots as well. 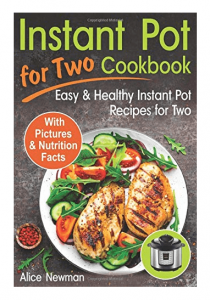 I was looking at the instant pot and thinking about getting one, but I wasn’t sure how I would clean it. I’m a “toss it all in the dishwasher” type of gal. I’m glad I came across this! Seems like cleaning is a lot simpler than I would have thought. Thanks for sharing this info!